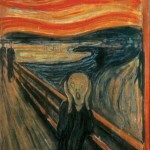 Expressionist art focuses on the expression of emotions rather than the accurate depiction of objects. 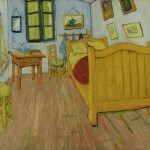 Beginning in the late 19th century, perhaps because photography was better than painting at showing things accurately, artists began to use color and visual distortions as a means of communicating emotional states. The first two paintings in this unit come from this school of art. 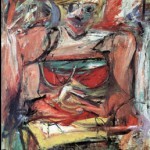 The final painting is from the school of Abstract Expressionism, which was the major school of American Art in the 1950’s and 1960’s.